The EtherMeter is the only known device that can calculate, transmit, and display rate-of-flow and totalization from all the major encoder-based water meters. And this fact can come in handy for a multitude of applications. For example, there are often occasions where bulk water users wish to visually monitor flow rate through a variable speed pump or a throttled valve. Furthermore, while viewing the flow rate, the user may wish to modify the pump speed or control the valve to achieve a desired flow rate. Recently, a Coal-Fired Power Plant in Northern Arizona, assisted by Dana Kepner Co. (CO, AZ, MT, NV, TX, WY), accomplished that very objective. 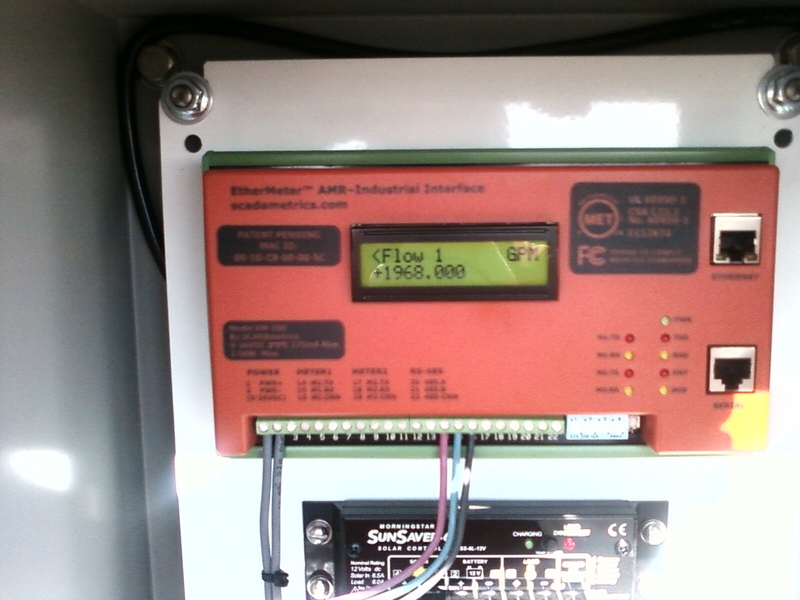 A simple Flow Rate Display Unit was built using an EtherMeter coupled with a Sensus Propeller Meter installed upon its bulk cooling water pipeline. Because the plant is not permitted to exceed a certain flow rate, its personnel manually adjust a gate valve while visually monitoring the flow rate on the EtherMeter. 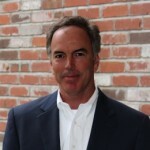 The EtherMeter in this application was not connected to the plant’s SCADA system — although it is always a future possibility, given the unit’s robust Modbus and Allen-Bradley protocol support. 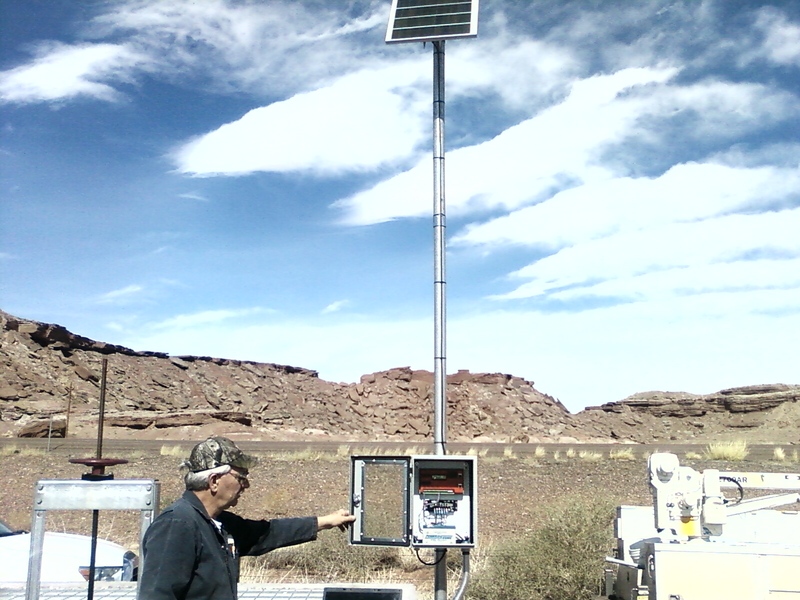 The EtherMeter, Enclosure, Solar Panel, Battery, Solar Charge Controller, and Sensus Propeller Meter were provided to the customer by Dana Kepner Co. (CO, AZ, MT, NV, TX, WY). 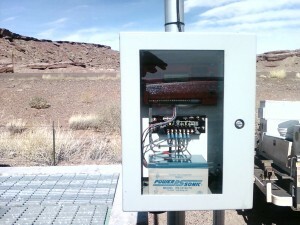 Power plant personnel performed the panel integration and installation. 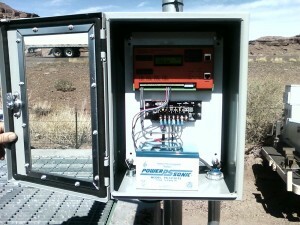 Photos courtesy of Dana Kepner Co.
Closeup of EtherMeter, Charge-Controller, and Battery. 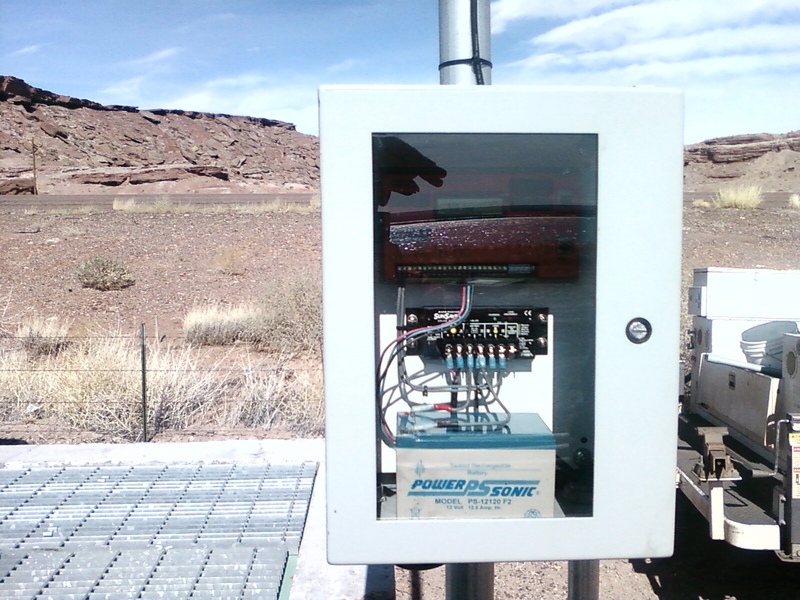 Windowed Enclosure Provides Visual Flow Rate Reading To Power Plant Personnel. Flow-Rate Display During Actual Operations.